Professionally printed on 250gsm gloss paper. - Buy It Now* or click here for other options. *When making a PayPal payment, please state in the massage area the name and item code of the product you are purchasing and your postal address. 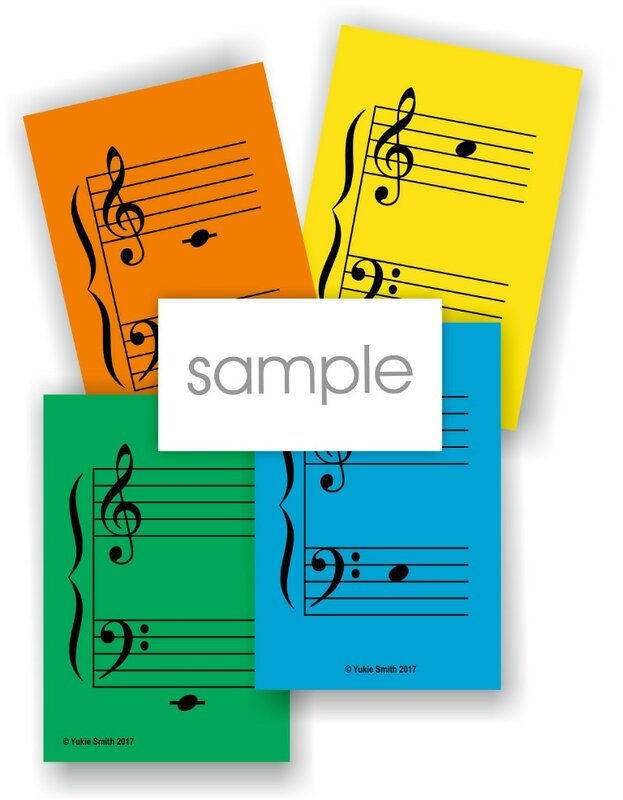 The cards are colour-coded so that the learners can pay attention to which pitch range they're reading.